This week may not be as busy as last week, but the topics are as diverse as the presenters. And since so many companies ran events last week, this week’s hosts and speakers offer a fresh diversity of perspectives on procurement topics. Remember that we are in daylight savings time season, so double check the starting time of each event in its host country as well as your own. Click on the title of each event below to view the full description in our events calendar and to connect to their registration pages. My first recommendation this week comes from a new source – ProcureChange, a knowledge based outsourcing firm founded earlier this year. Ready or not, procurement-as-a-service is a growing trend that you may soon be faced with evaluating as a way of hitting your goals. In this event, Phil Ideson, the founder of ProcureChange and an experienced procurement pro in his own right, will discuss means, methods, and priorities required to foster a successful procurement outsourcing program. He’ll also discuss how to know when it is time to alter or cancel a program. And fear not, procurement outsourcing is leveraged many procurement teams looking to increase their capacity and capabilities – not to replace themselves. I recently interviewed Phil about procurement outsourcing and you can hear our conversation on BMP Radio. We talk about supplier relationship management, but what does that really mean on a daily basis? Well, it means engaging with strategic suppliers – an increase in two way interaction that allows for improved results and visibility on both sides. In this webinar Proactis will talk about how to put a supplier engagement plan in place, how to execute the plan, and how to make sure it is proactive enough to avoid risk and instability. Perhaps most importantly, they will share how to execute a supplier engagement program without allowing the investment of time and resources to overwhelm the resources of your procurement team. This webinar takes a more traditional look at outsourcing – in other words, the outsourcing that procurement does for other functions than our own. 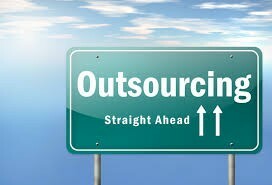 For all the benefits of outsourcing, it also brings with it additional complexity – especially in the form of additional supplier relationships to manage. This webinar, which will include a case study, looks at outsourcing as a portfolio approach rather than one category of spend or service need at a time.